Haters gonna hate. JYJ did all they can to give their best to their fans no matter how tall the obstacles stand. They have every right to perform as many other artists. I hope thr people of Korea will open their goddamn eyes. Time to break the ban on JYJ! 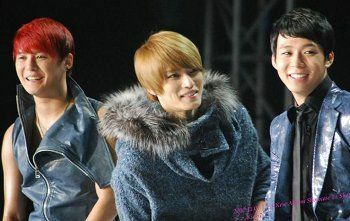 The South Korean pop group JYJ came onto the country’s fevered music scene in 2004 as three fifths of the then-pop group DBSK. They were soon to become what observers call by far the most successful and best-selling pop group that SM Entertainment has ever fielded, making countless millions of dollars for the management company in just five years.